Netstor Thunderbolt NA211TB en NA762TB zijn nu direct leverbaar in Nederland. Taipei, Taiwan, December 6, 2012 – RME has certified Netstor’s Thunderbolt TurboBox™ NA211TB, the Thunderbolt PCIe expansion solution, for audio editors and professionals to be able to set up easily and flexibly the sound systems and structure for audio production and work. Developers and users worldwide have highly and deeply appreciated RME’s consistent efforts and endeavors to bring the best and complete solution that allows any professional audio PCIe card to be Thunderbolt-enabled to any type, any generation of the Thunderbolt-equipped computer. 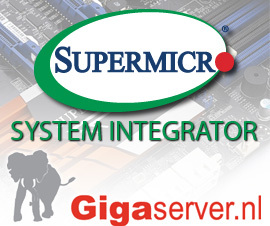 2nd generation 6Gb/s MegaRAID controllers are 3x to nearly 10x faster than any other RAID controllers.